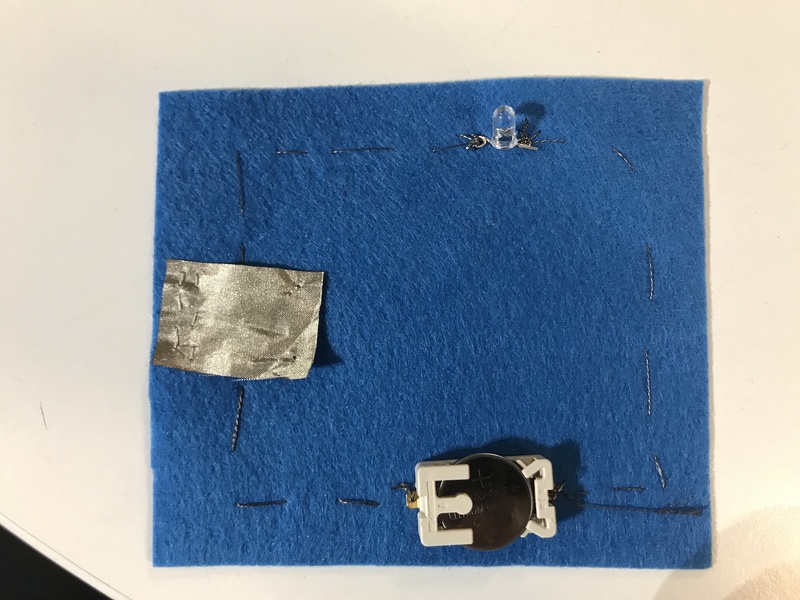 For my first time sewing, I created the simple soft circuit for an led with a switch. 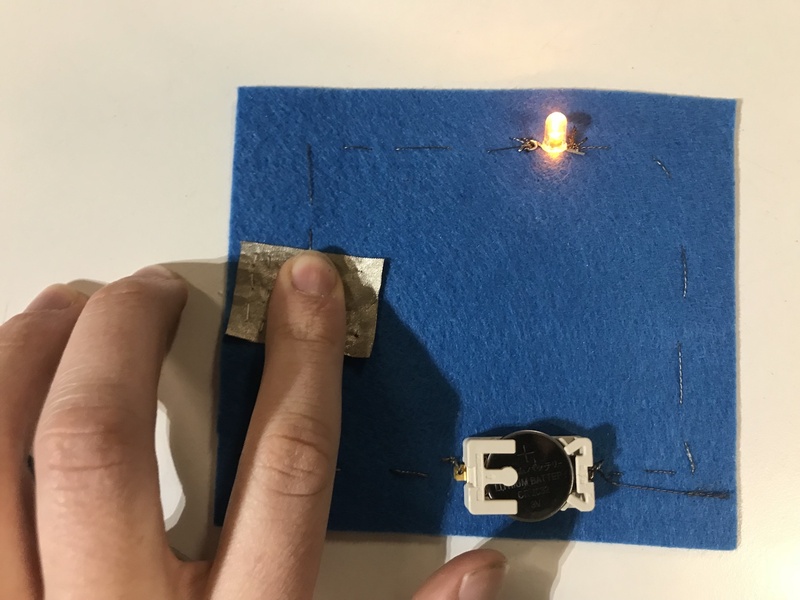 After struggling for a while, I started getting some specific techniques down like how to tie a “granny knot” for my thread, and how to create a good conductive ‘nub’ with the conductive thread. For the switch, Sandy lent me a piece of conductive fabric. So I used regular white thread to stitch it with two ‘paths’. Tying the end got messy but it all works and hasn’t fallen apart yet.